I'll be sending you a book! Woot! Last Chance for Book Giveaway! I'll pick a name late Friday! 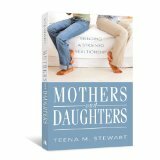 Timeless topic that Teena Stewart tackled in her book, Mothers and Daughters: Mending a Strained Relationship. Even if you have a wonderful relationship with your mother, this book will open your eyes to things you never thought relevant. Teena, is this your first book? No. This is actually my fifth book excluding inspirational books in which I've had stories published. I've had two books released this year. This one on mother and daughter relationships and one called The Treasure Seeker: Finding Love and Value in the Arms of Your Loving Heavenly Father. 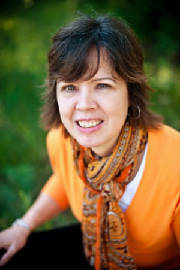 It's about developing a close relationship with God and has a treasure and gemstone theme. What prompted you to write on such a difficult topic as mothers and daughters? Seems people have been trying to figure out that dynamic for centuries. Well, I definitely don't claim to have figured it out. The book came from my desire to improve my relationship with my mother, which at best could be described as strained. I've always envied women who have that amazing friendship going with their moms. After one particularly frustrating phone conversation with my mom which left me in tears, I shared some of my frustrations with my women's small group. I was stunned to learn that many of them also had painful connections with their moms. The idea of helping women work through this pain and encouraging them to hang in there and work on improving their relationship took root. I knew I needed to write the book. I ended up interviewing many different women who shared both the good and bad. I learned so much in the process. What ideas do you have for future works? I think most writers have more ideas than they know what to do with. Reigning them in is the challenge. I am about 3/4 of the way through writing a non-fiction book that allows Christians and those who are spiritually seeking to ask tough questions they have about spiritual topics many wrestle with but are afraid to voice. The book is tentatively called Walking on Broken Glass and I've been doing lessons from it for our small coffee shop church gatherings. But I am also working on some fiction. I have a rough outline for women's fiction book and am polishing up the first in a series for a romantic suspense. Years ago I started out wanting to write fiction but switched to non-fiction when I began writing articles, but now I am trying my hand at fiction again. I am finding it much more difficult to write than non-fiction although studying fiction writing has helped make me a better writer even in the non-fiction realm. What would you say to encourage a new author to go the mile? I think success is about 25% talent and the rest hard work and perseverance. There are many many talented people who never get published because they either never put it on paper, are afraid to submit, or give up after being critiqued or rejected. If you want to become published you need to have multiple projects going and you need to submit them so that when one comes back rejected, you still have the hope of something else getting published. It also helps greatly to have a critique buddy or critique group because it is so difficult to see your own potential growth areas.